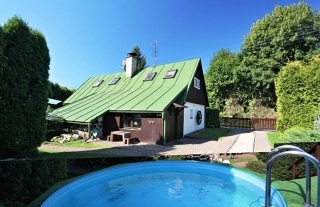 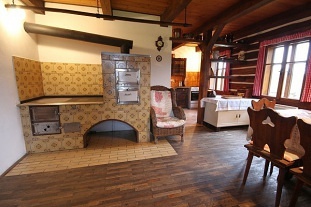 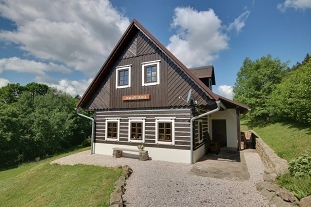 Pension u Kňourků - Vidoň - cottage with a swimming pool - Bohemian Paradise and Podkrkonoší. 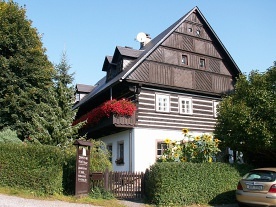 The Penzion u Kňourků is located in the picturesque village of Vidoň. 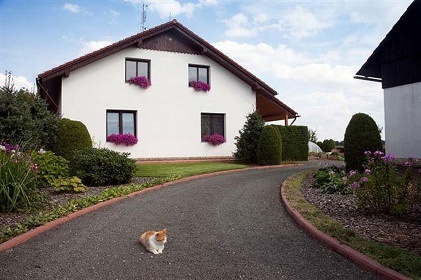 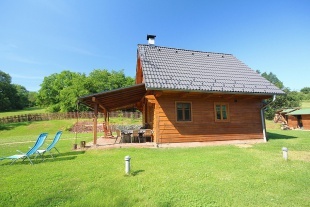 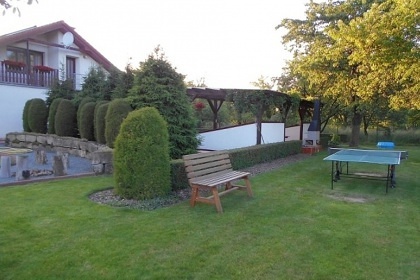 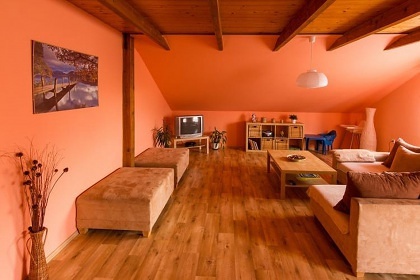 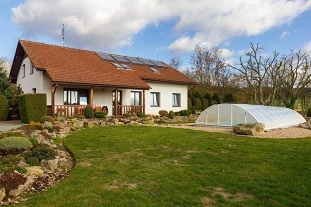 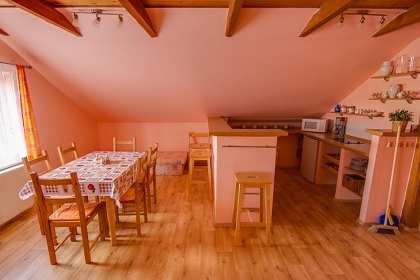 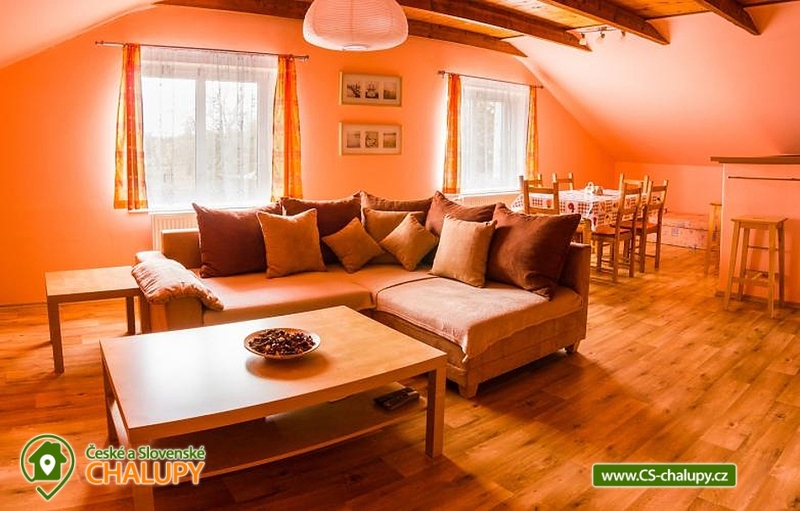 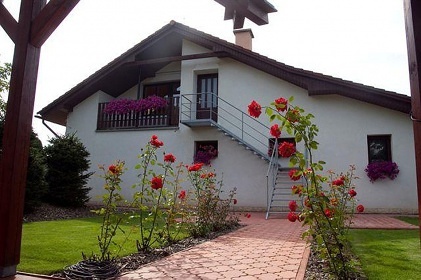 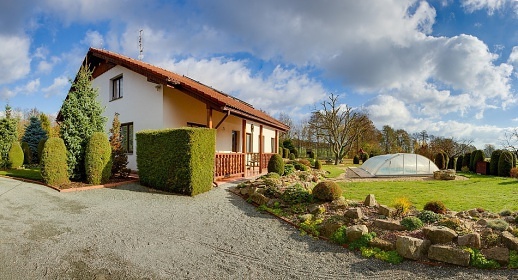 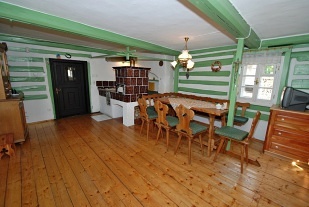 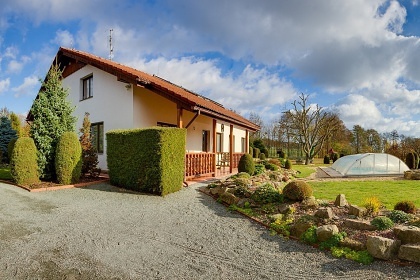 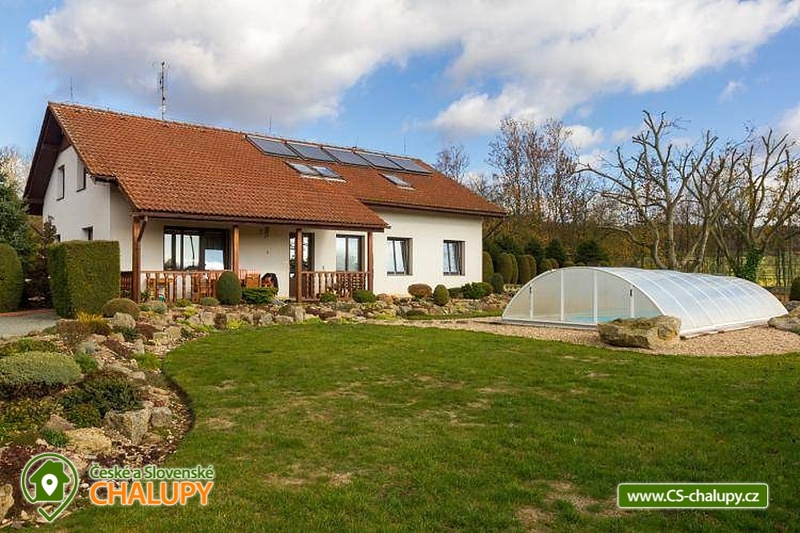 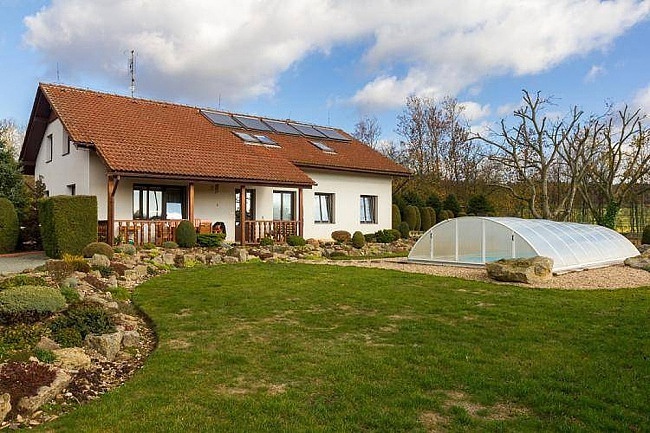 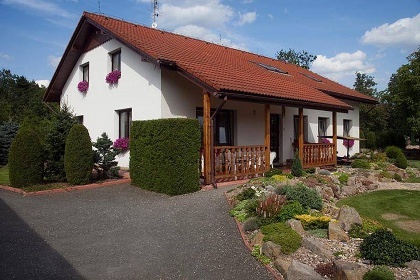 Luxurious, stylish cottage in a beautiful and quiet area of ​​Podkrkonoší, on the edge of a small village in the middle of nature, surrounded by forests, meadows and fields. 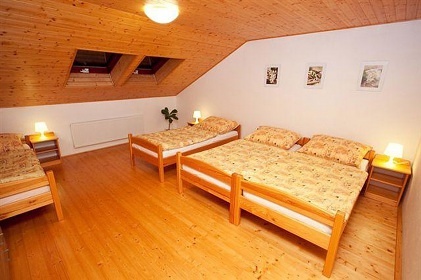 There are 8 beds (2x 4 beds), 4 (2 + 2) extra beds possible. 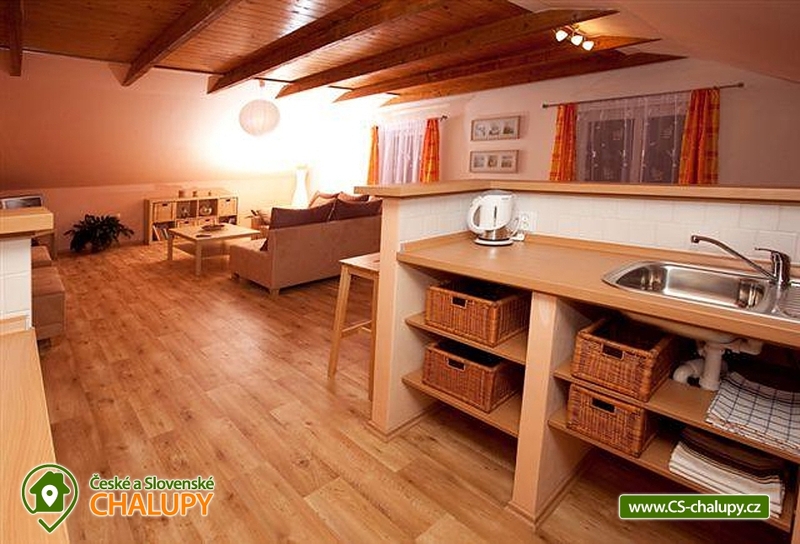 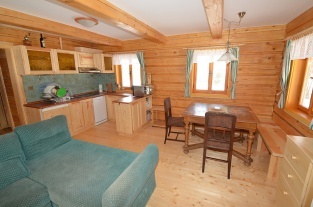 The cottage is especially suitable for two families with children offering relaxation and sporting possibilities. 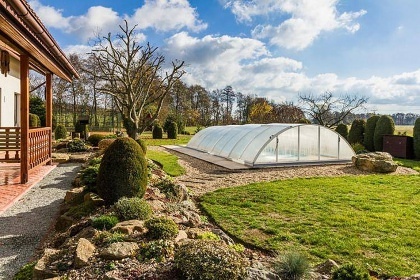 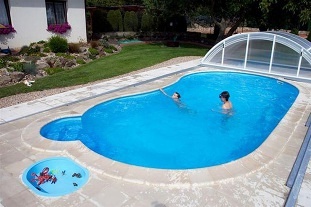 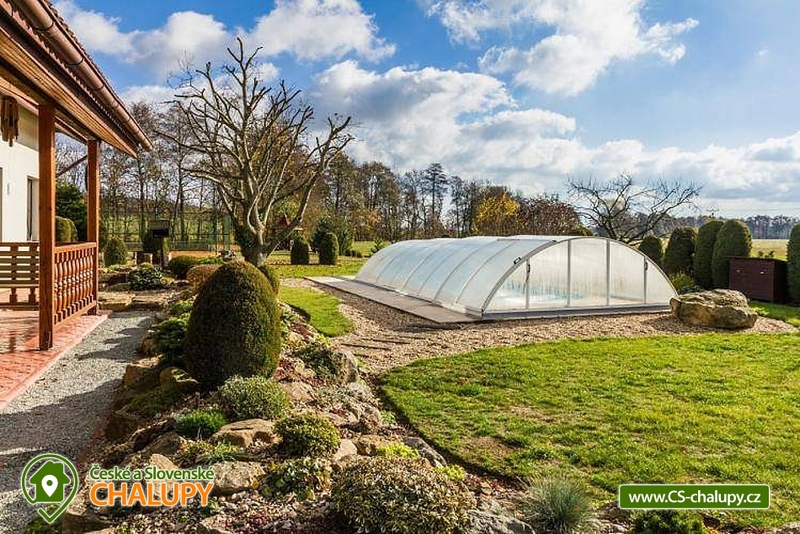 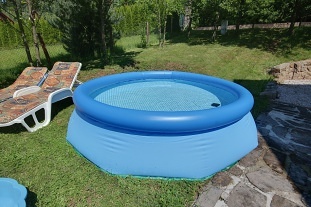 An advantage is the swimming pool heating with the possibility of water temperature control (25 - 35 degrees) depending on the weather and swimming from May to September. 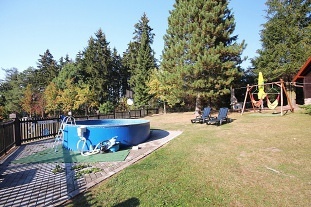 The cottage has a swimming pool with roofing, heating and lighting, a tennis court with a gazebo and a table for table tennis. Bicycle hire is also available. 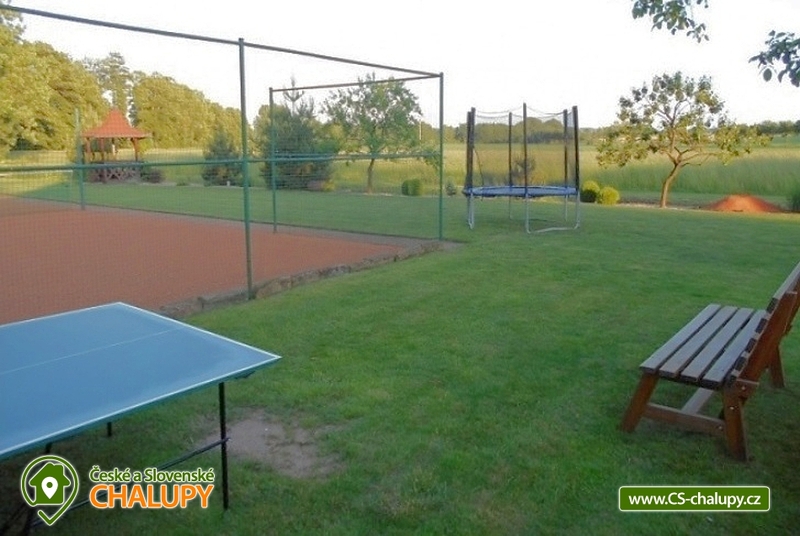 For children there is a sandpit, swing, trampoline. 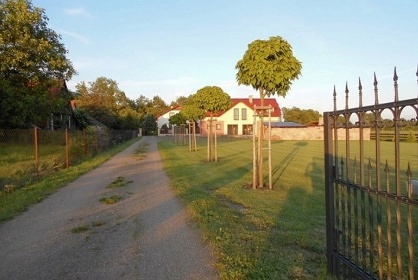 Possibility to rent bicycles for children. 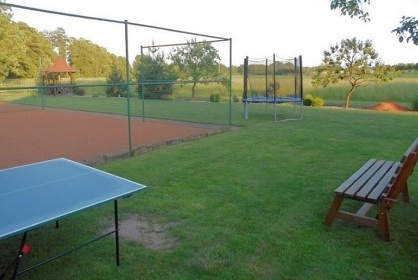 Large and small can have fun at ball and social games. 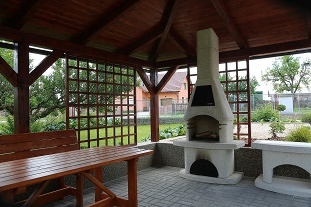 Guests are provided with a garden barbecue, a smoker's fireplace, lava stones and a stainless steel barbecue. 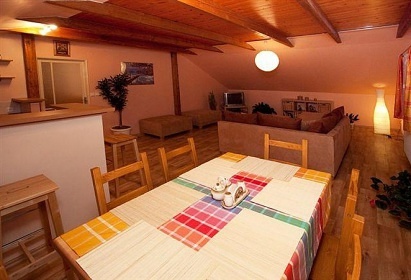 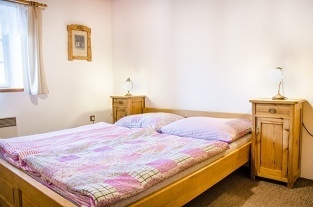 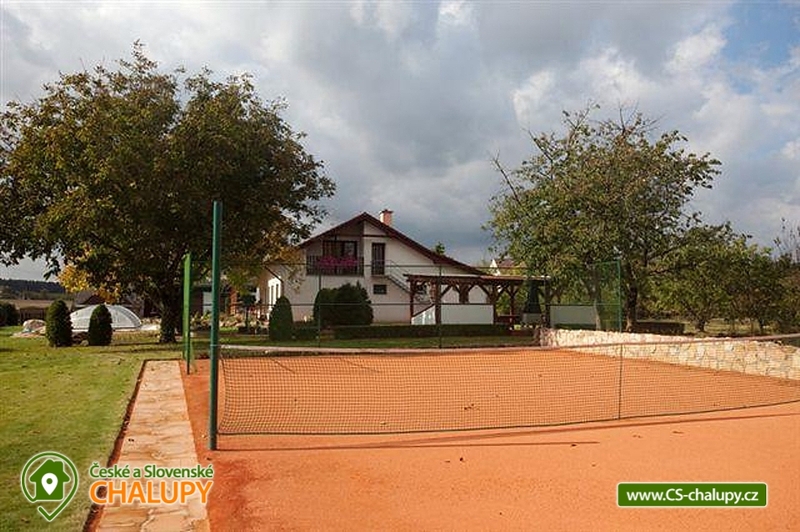 Rooms and equipment: There are a total of 2 bedrooms with 4 beds (with the possibility of 2 + 2 extra beds). For small children we can rent a baby cot and a chair. 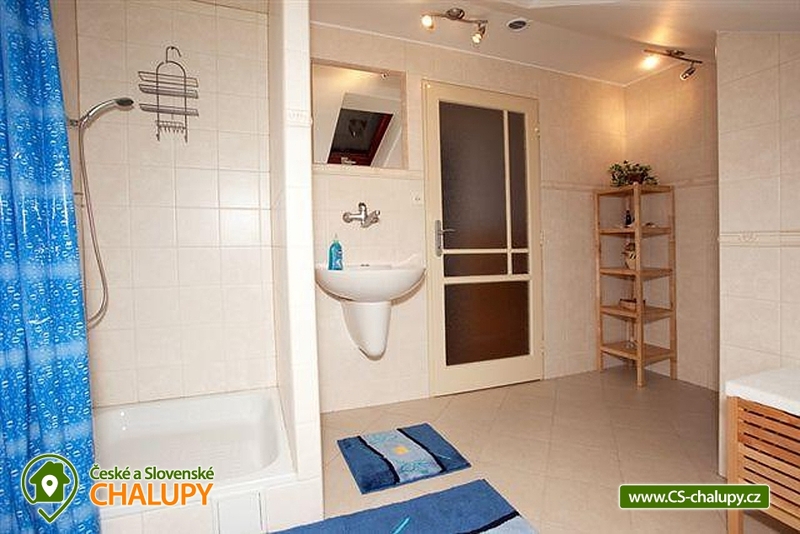 Each bedroom has a bathroom with a toilet. 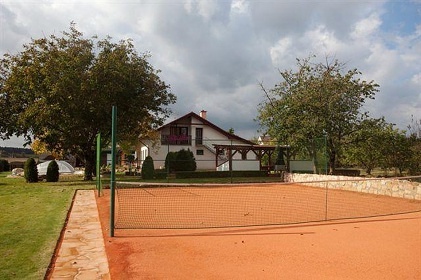 Parking is provided on fenced grounds, which provides plenty of parking space. 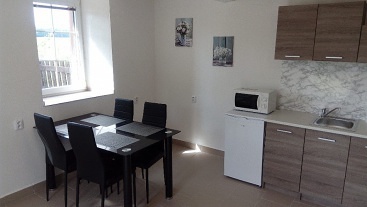 Shared kitchen (hob, microwave, electric kettle, coffee maker and fridge). 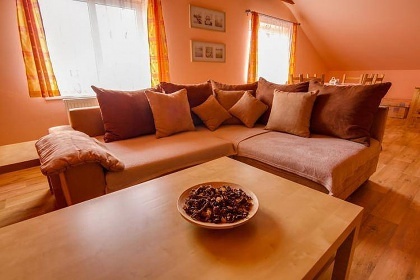 The living room is equipped with TV, satellite, video player, DVD player and internet connection. 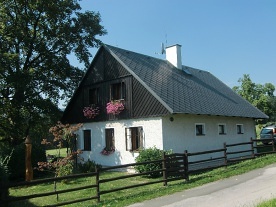 Surrounding the cottage offers many other relaxation and relaxation options, but also nature suitable for walks - meadows, rocks and forests. 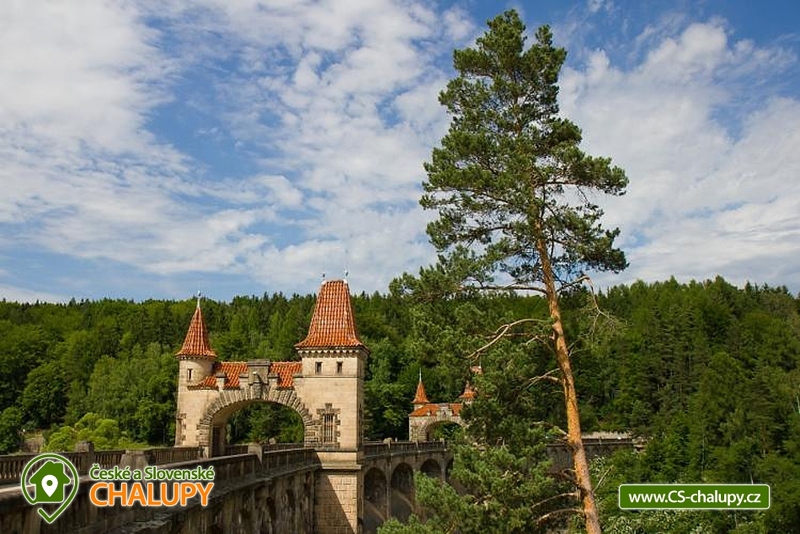 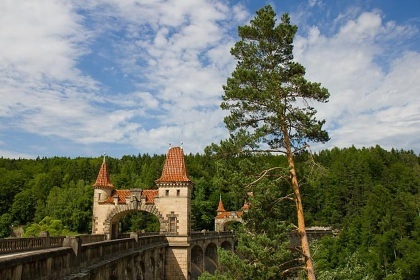 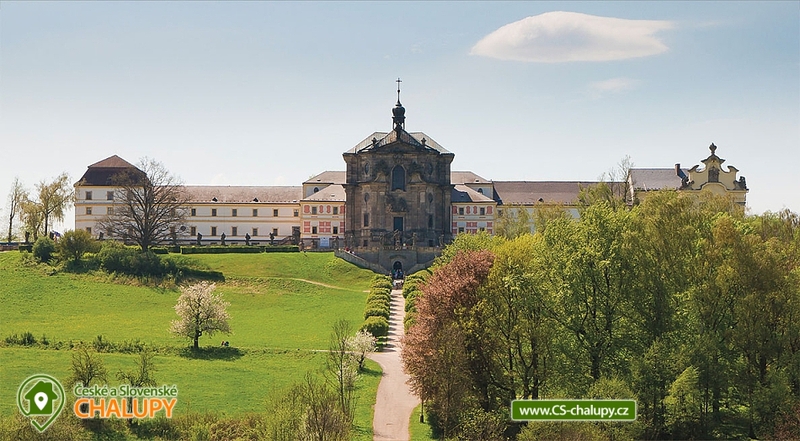 Countless sights and interesting localities (Zoo Safari Dvůr Králové, Bohemian Paradise - Prachov Rocks, Pecka Castle, ski lift in winter or only 40 km away from Giant Mountains). 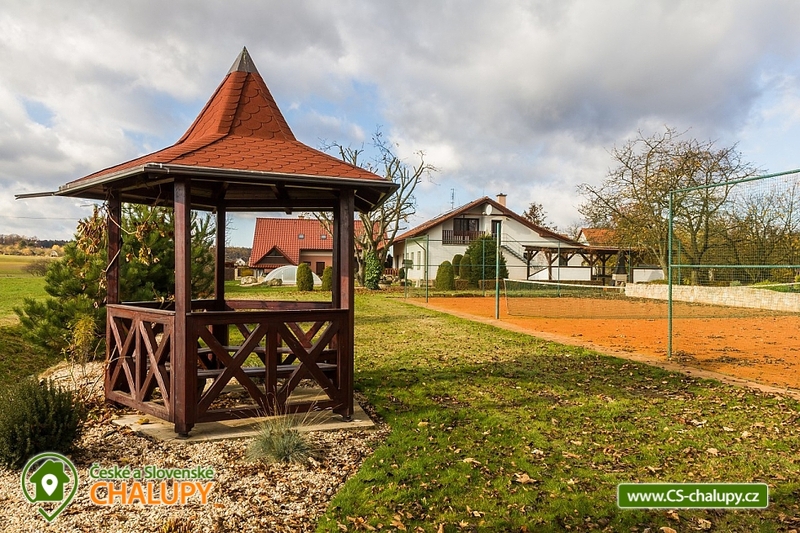 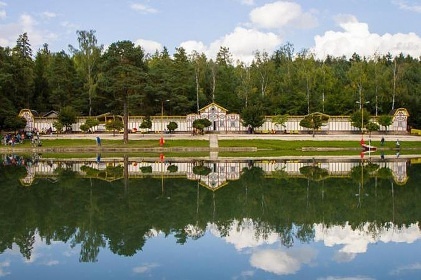 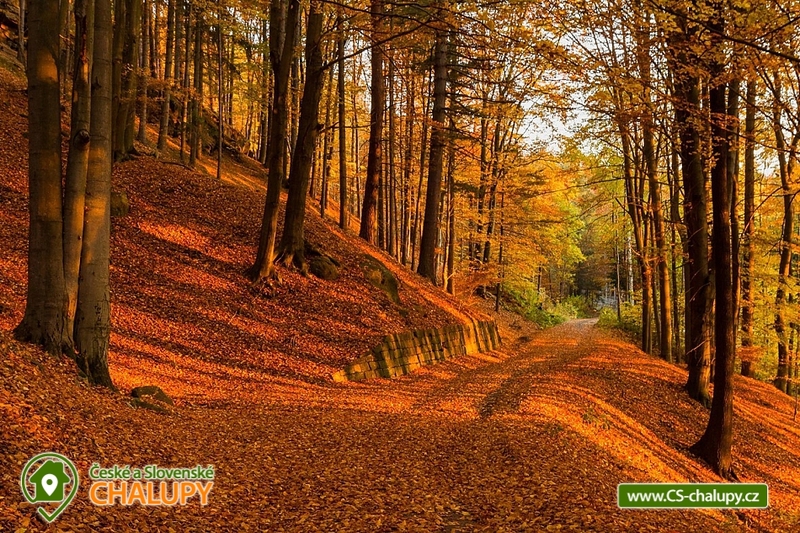 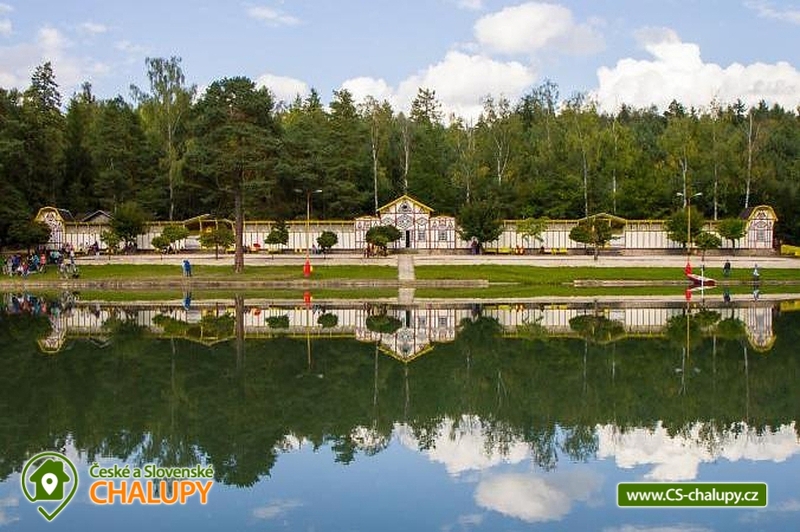 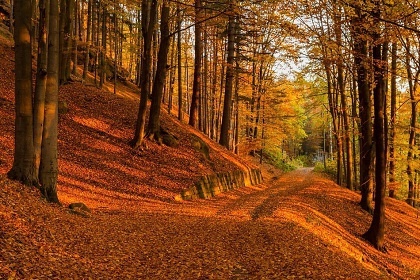 In the vicinity there is a network of cycling trails and hiking trails, an aquapark in Jičín or in Hradec Králové, 25 km away. 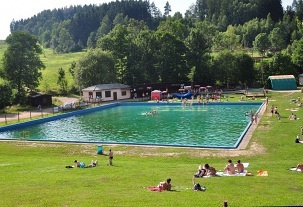 Additional information Provoz celoročně. 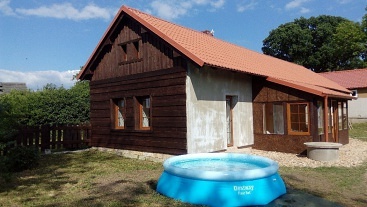 Možnost ubytování i na víkend. 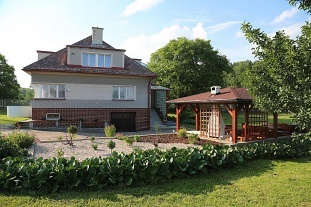 Silvestrovské pobyty.